Bring your base! Capsules can capture a region containing any blocks or machines, then deploy and undeploy at will. Inspired by Dragon Ball capsules. You first need a capture base. This is where you can initialize a capsule with it's first content. You'll be able to capture the region on top of it. Throw it near the capture base ! 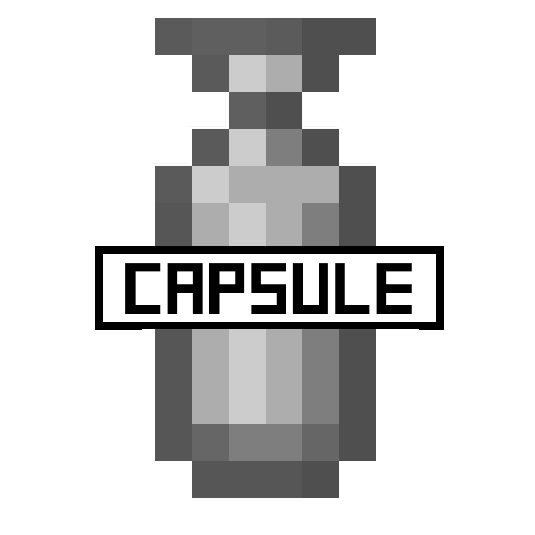 Right click while activated : throw the capsule. Once the content is captured, the capsule can be deployed or undeployed at will. Note that all the capsule can be dyed (affect the base color) and labeled (sneak + right click). Deploy : Right click once to activate, right click again to throw at the preview positions (are ahead not aiming a block). Undeploy : Right click the "Deployed" capsule and the content will be stored again into the capsule, whereever it currently is. Label : Sneak + Right click to open the label editing screen. how does this mod handle things like nether portals or even end portals? it would be really neat to use this to bring an end portal back to my base for ease of access. if it handles these well, does it work with mods that add new portals or dimensional transitions? in particular, i like aether legacy and dimensional doors and am curious as to whether these would work correctly. Cool! I haven't downloaded it, but it looks REALLY cool! I really love this project! 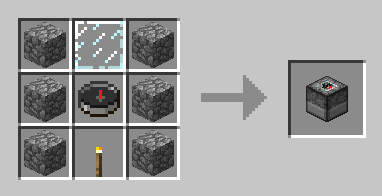 A simple question, does this mod is stable with moded blocs/items ? No crash/bug ? There are a few known incompatibilities (https://github.com/Lythom/capsule/wiki/Known-incompatibilities), other than that I'm used to move my full base as I go adventure and never lost something or crashed so far :) Of course I encourage you to put FTBUtils in your pack to get automated backups, but there is very little chance a capsule bug is the reason why you need to restore. Hello ! 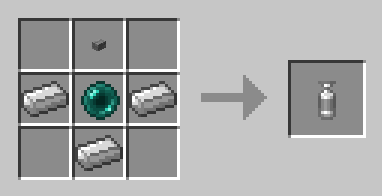 Chocolate quest as an equivalent item for 1.7.10. See https://minecraft.curseforge.com/projects/capsule?comment=93. I've been playing with this mod a lot, and really enjoying it, so kudos there. Have to ask, though... What's the deal with the -1 size one-time-use capsules I keep finding in treasure chests as loot? I can't find any recipes to expand them or repair them. Do they actually contain anything? Did I install incorrectly? Is it just a joke? Hey ! This is a bug that occurs when playing on linux (or using a linux server) because templates files contains uppercase characters in the jar. It didn't cause any problem since 1.11 in which structure blocks templates must be lowercase. Details and possible manual fixed at: https://github.com/Lythom/capsule/issues/6#issuecomment-376146614. Thanks for the remainder, I reopen the ticket and I'll fix the issue as soon as I get some time to work on capsule ! Erm... Think you may need to reconsider that. I'm on Windows and playing singleplayer worlds. EDIT: Also, I have looked at the solution you recommended and I have no idea to do any of that. Are you saying I need to crack open the .class file in the .jar? I can't find anything else labeled "config" in there. wow I never experienced the issue on windows singleplayer, can you confirm the version of capsule is the latest (3.1.69). Also, do you know the version of forge your are using so that I can try to reproduce ? 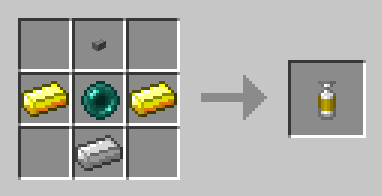 The reward capsule templates are extracted from the jar into the "<minecraftinstance>/config/capsule/" folder, sorted by rarity. Only the filename of the templates need to be changed. Uh, nope, I sure can't, because I was not using the most recent one. I was on a substantially older version. I've started a new save with the most recent version and am searching for chests to loot to see if the issue's still going on. Will update when I find a capsule. So... I've installed the newest version, and for the longest time I wasn't finding any capsules at all. Finally, I went in and manually copied over the files from the jar, and they worked just fine without changing the capitalization. Is that a known issue, or do I just have a strange computer? Can you add the ability to rotate the position during the preview before deployment? That's fine, the the mod is still 100% usable and great. I was just thinking that it would be a nice quality of life change. No need to rush or anything. Thank you for the mod and the response! This mod's main feature is included in the 1.7 mod Chocolate Quest. I'm not really sure if this mod is based on that one, or if they are two entirely separate things.